It wouldn't be right to welcome Spring in without a new Jo Malone perfume release. I seem to have acquired a new Spring scent wardrobe thanks to their new beautiful pastel-capped, blossom inspired fragrances - and I'm definitely not complaining. In fact, I'm loving these so much that I'm tempted to run to the counter to pick up the additional fragrance in this release to complete the trio. 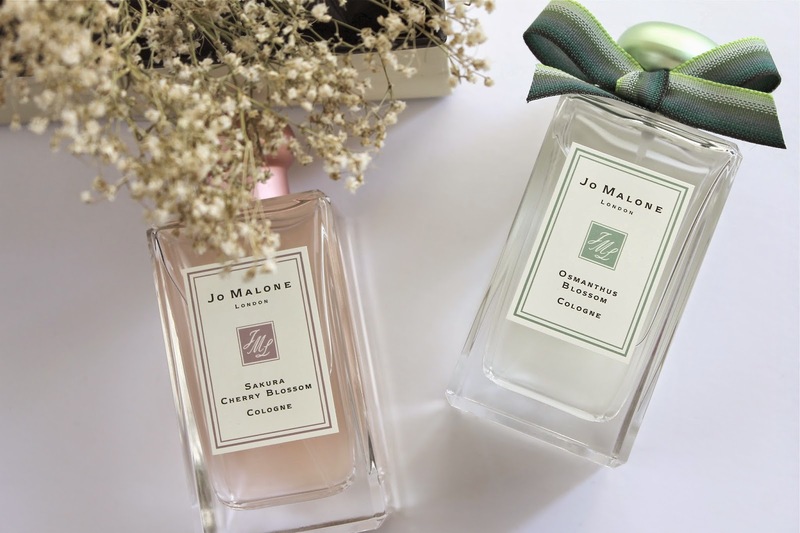 If only the sun would decide to stick around for long enough, we'd have real Spring blossoms filling the air with their sweet fragrances, but for now at least we have Jo Malone. Jo Malone Osmanthus Blossom Cologne - I fell in love with this fragrance upon first spritz. Is that possible? If not, let's make it a thing, because this really is a divine scent. It's crisp, yet soft, with notes of peach, cashmere wood, and osmanthus, a rare flower native to East Asia. The flower in nature is likened to apricot and peach, giving this cologne its fresh floral edge. It's the perfect floral for those who hate sickly-sweet fragrances, as it's soft and sparkling, making it perfect for everyday wear. I love this unique take on a blossoming scent. Jo Malone Sakura Cherry Blossom Cologne - This fragrance truly captures the essence of Spring in a bottle. It's light and uplifting, but also the slightest bit fruity thanks to a mixture of bergamot, cherry blossom, mimosa, and rose notes. After the initial hit of bergamot fades the scent opens up to a powdery heart that contrasts beautifully with its musky base. It's such a pretty and feminine fragrance in my opinion, absolutely delicious for Spring. Both of these scents are beautiful and perfect for those who love light and fresh floral fragrances with an exotic twist. Certainly not your grandmother's florals, thankfully, and I'm loving these both right now. wow the osmanthus blossom scent sounds so wonderful. I've always wanted to try out jo malone because I only hear good things about their fragrences! I had a little try of Cherry Blossom and fell in love. 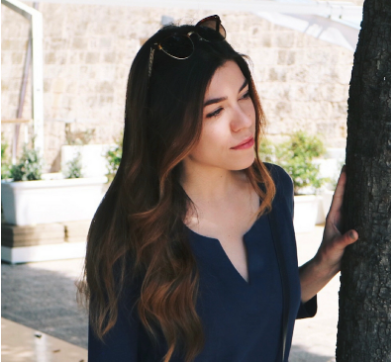 Such a dreamy collection!